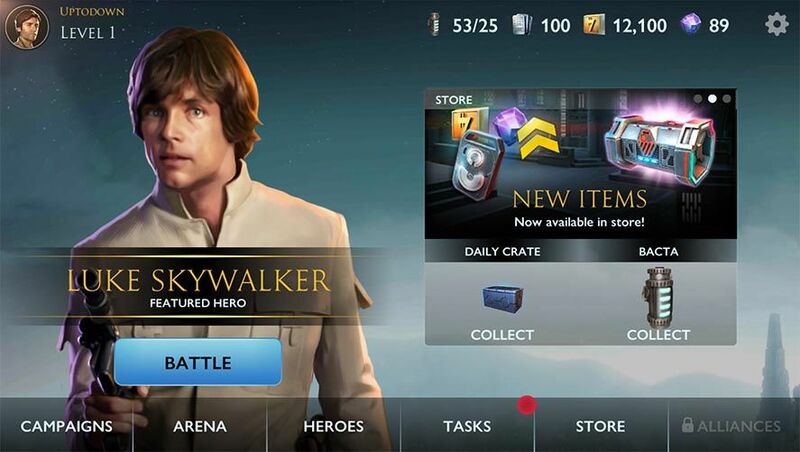 There appears to be no end in sight to the production of Android games set in the Star Wars universe. Just a bit more than a month ago we got the fun Star Wars: Puzzle Droids, and now it’s the new Star Wars: Rivals, a third-person action game that puts you in the skin of the most popular Star Wars characters from both the original trilogy and the later releases. Its main appeal, besides that it lets you relive iconic battles, is the possibility to participate in online PvP battles. The bulk of the game is made up of the aforementioned real-time battles, and there’s nothing remotely mysterious about the gameplay in this hackneyed genre. You control your character’s sights via touch gestures, and can do different kinds of attacks depending on which hero you’re playing. Beyond that, all you can do is change your cover position, but these transitions are made automatically, so you don’t have to think about your actual movements around the battlefield, just about taking aim. The one-player mode will lead you to experience some legendary rivalries from the Star Wars universe, like Luke Skywalker v. Darth Vader or some slightly more farfetched ones like Finn and Poe Dameron vs. Captain Phasma. 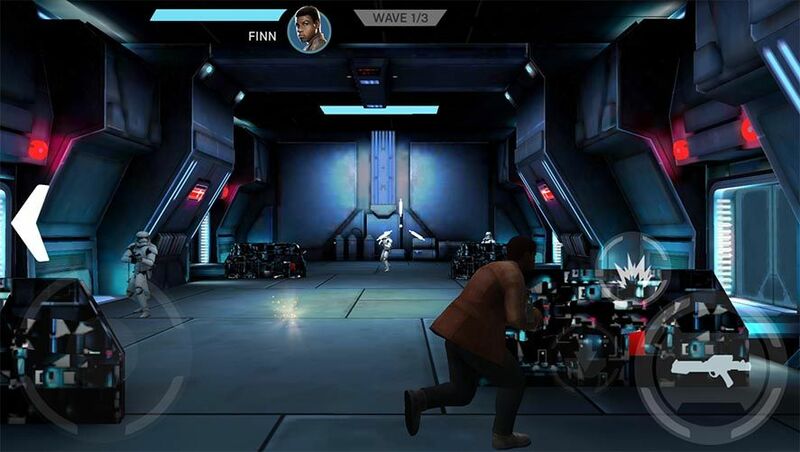 Normally the levels are resolved by surviving several waves of enemies, but in certain circumstances you’ll have to deal with external events on top of defeating the enemies, whether it’s breaking a device’s shields so that BB-8 can steal some data or keeping a kamikaze vigilante droid from exploding before it reaches its target. With the resources you get in battle you can unlock new characters and level them up, and that’s where your ‘roster’ really comes into its own, with popular characters like the ones mentioned above plus welcome appearances by Admiral Ackbar, Lando Calrissian, or Bossk the bountyhunter. 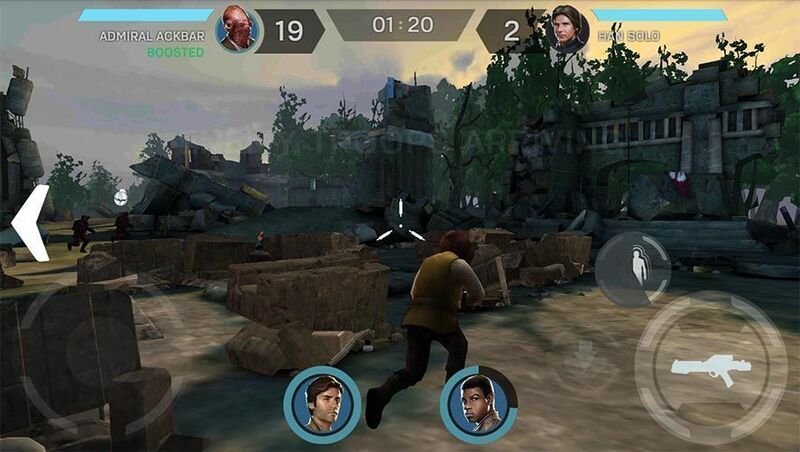 At the moment Star Wars: Rivals is out in unreleased mode, but you can still download and install it over Uptodown with no geographical restrictions of any kind.